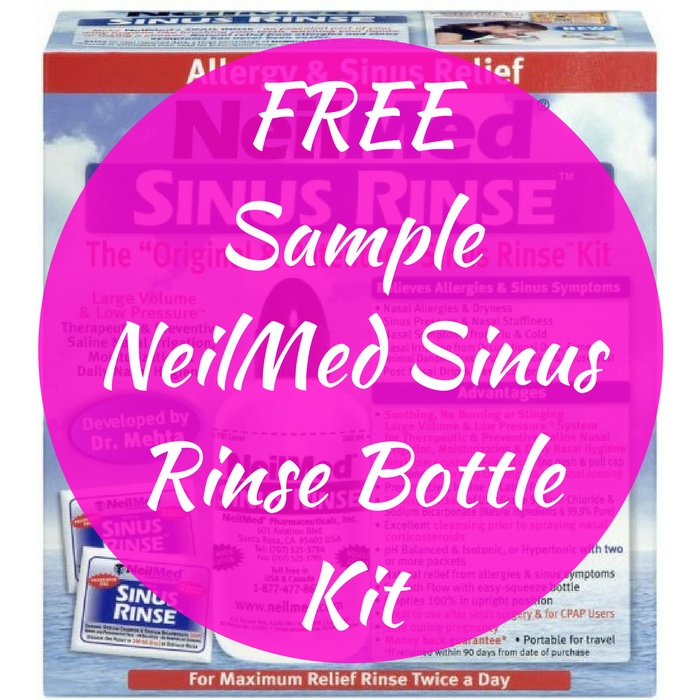 FREE Sample NeilMed Sinus Rinse Bottle Kit! You are here: Home / FREEbies / FREE Sample NeilMed Sinus Rinse Bottle Kit! Here’s a great FREEbie for all of you who have cystic fibrosis or immotile ciliary syndrome! Go over here to grab a FREE NeilMed Sinus Rinse Bottle Kit by just simply going through the short video, answer the questions and submit your information! This rinse is a great way to keep your sinus passages open. Please allow 4 to 6 weeks for delivery.